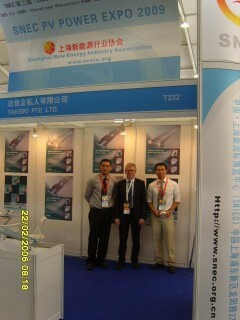 SNEC 3rd International Photovoltaic Power Generation Conference & Exhibition. Takeiki and Montech participated in the above exhibition in Shanghai, China, one of the largest exibition related to Photovoltaic. This was a very successful exhibition which generated many interests and enquiries as they are impressed with Montech conveyors.